To present a unique case of decompression retinochoroidopathy presenting with intraretinal, subretinal and preretinal hemorrhages. A 65-year-old hypertensive female presented with diminution of vision in right eye of 1-week duration. She had been a known case of primary open-angle glaucoma and had undergone trabeculectomy with mitomycin C in right eye 1 week back. Her day 1 postoperative intraocular pressure was 6 mmHg. Her left eye had undergone Ahmed glaucoma valve surgery for the same 2 years back. Right eye vision at 1 week of presentation was 6/36, N36 and left eye hand movements. Both eyes were pseudophakic. Intraocular pressure in right eye was 35 mmHg with nonfunctional bleb and in left eye 15 mmHg. Right eye fundus shows multiple subretinal, intraretinal, preretinal and some white-centered blot hemorrhage in all the four quadrants including the posterior pole. Disk had glaucomatous cupping with no dilatation or tortuosity of retinal blood vessels. Left eye had total glaucomatous optic atrophy. 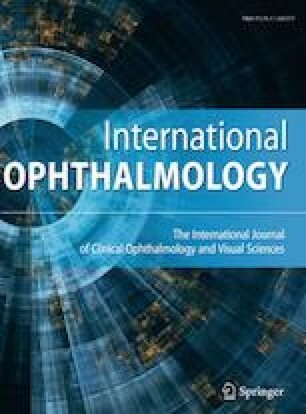 Old hypertensive females may not tolerate hemodynamic changes in retinal and choroidal vasculature so well, and if the autoregulation of retinal capillaries and choriocapillaris fails because of IOP spikes or rise of IOP to high levels in a relatively short duration, sudden lowering of IOP after trabeculectomy may cause decompression retinopathy and choroidopathy.